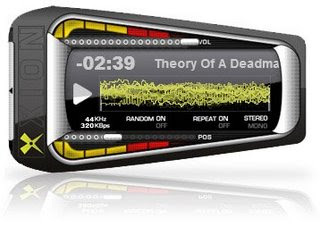 Xion is a high fidelity, easily skinnable, out of this world audio player. Xion features a new standard in skin support. Baffled by script syntax? Pulling your hair out over slicing up skin elements? Crying over spilt milk? Xion's approach to skinning will remove all scripting and slicing requirements that other skin systems have placed on users. Xion will directly read a .PSD file and using layer names, instantly create your skin. Xion also supports direct loading from Zip files which allow you to package several .PSD files in the one package. This has the added benefit of being compressed and therefore consumes less disk space. * Skins load directly from .PSD files, not script or extra files required!